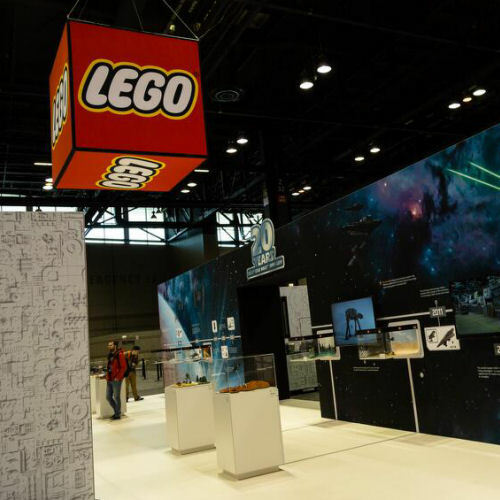 As usual, the most prominent and easy-to-navigate to booth (thanks to the giant logo cube suspended from the roof) is the LEGO booth, located at 1616 in the Exhibit Hall. 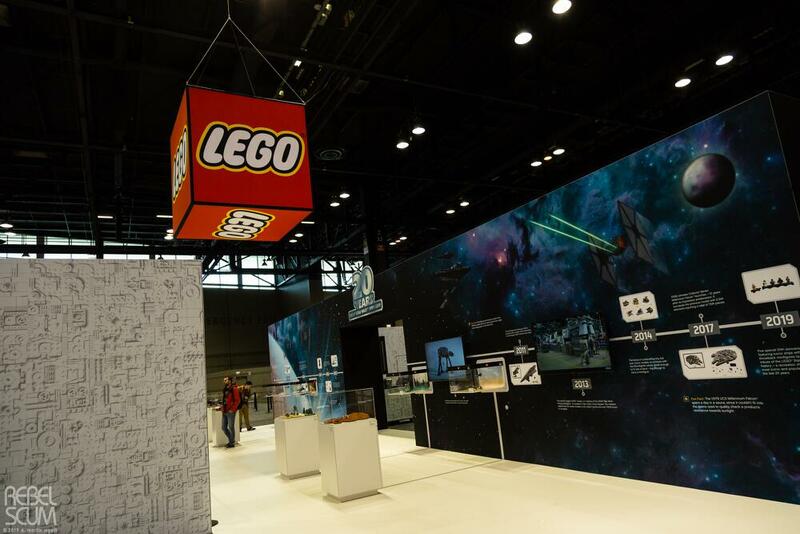 Even if you don't look up it's at the east end of the West Hall, right at the front next to the fan vehicles. 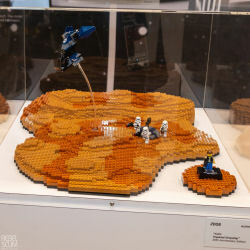 If you still can't find it just follow the noise of all the kids enjoying themselves. 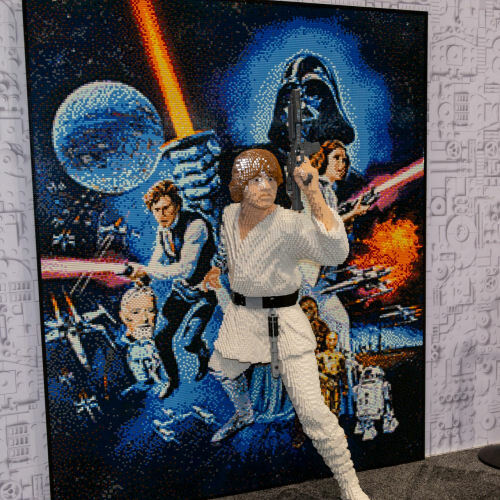 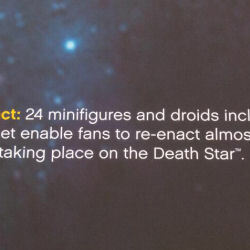 Instead of the normal brick-built life size character statues, the two centrepiece display builds are a more-than six foot tall 20th Anniversary logo and a 3D version, with Luke lunging out of the vertical surface of the original Style "C" theatrical poster that came out in 1977 to promote A New Hope. 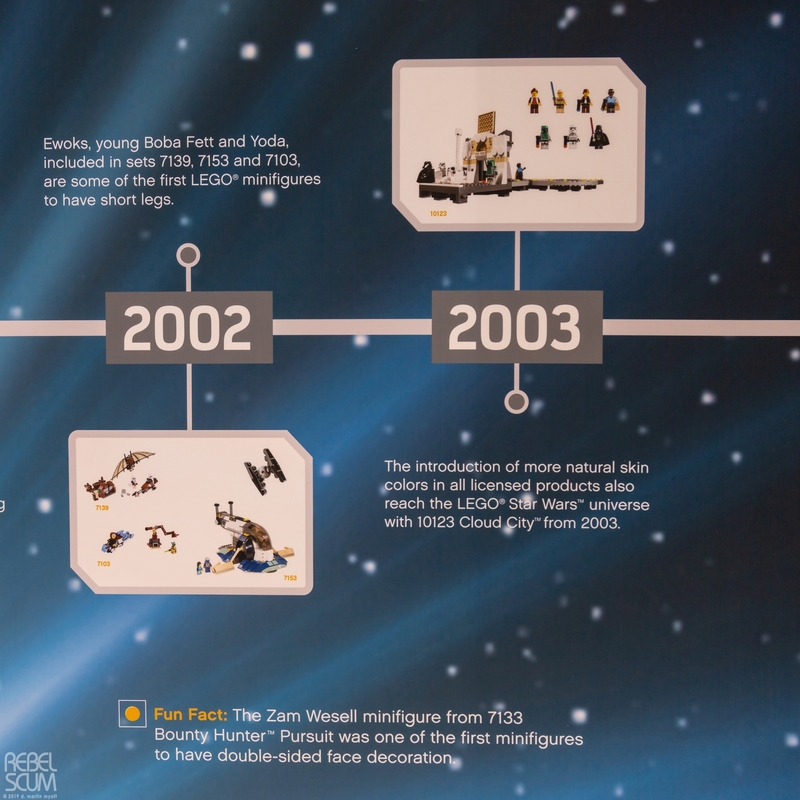 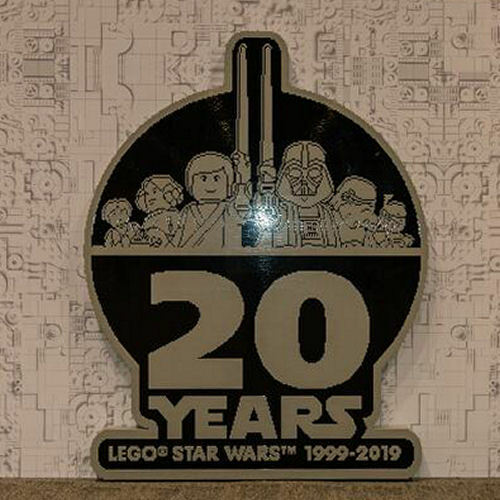 It wouldn't be a 20th Anniversary without a special collection of sets - which are all on sale at LEGO shop@home. 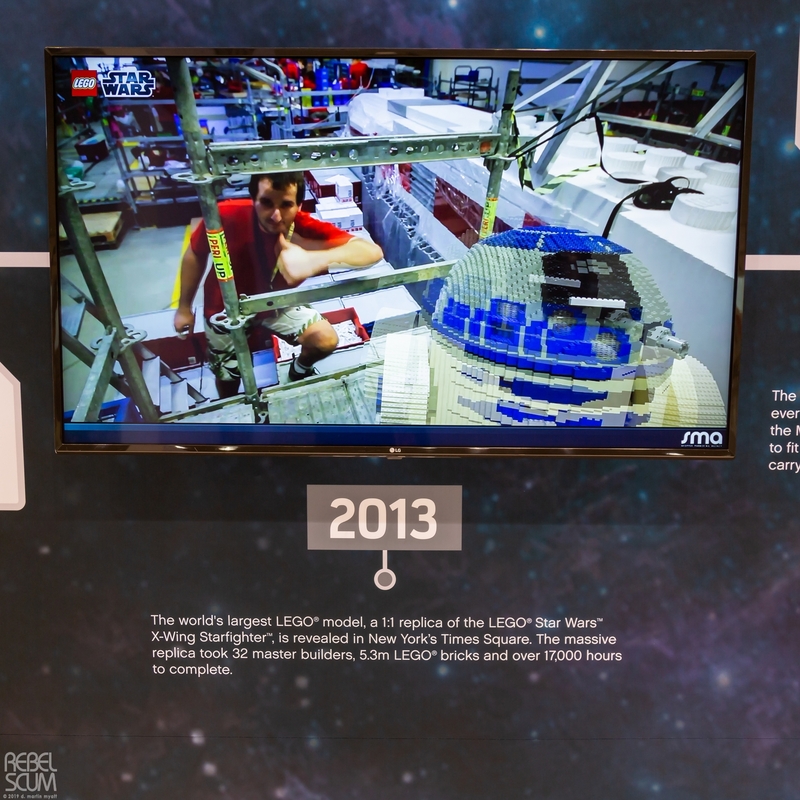 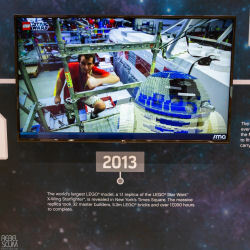 As a special treat, LEGO have provided a timelapse video of the big 20th anniversary logo build foryou to gawk at. 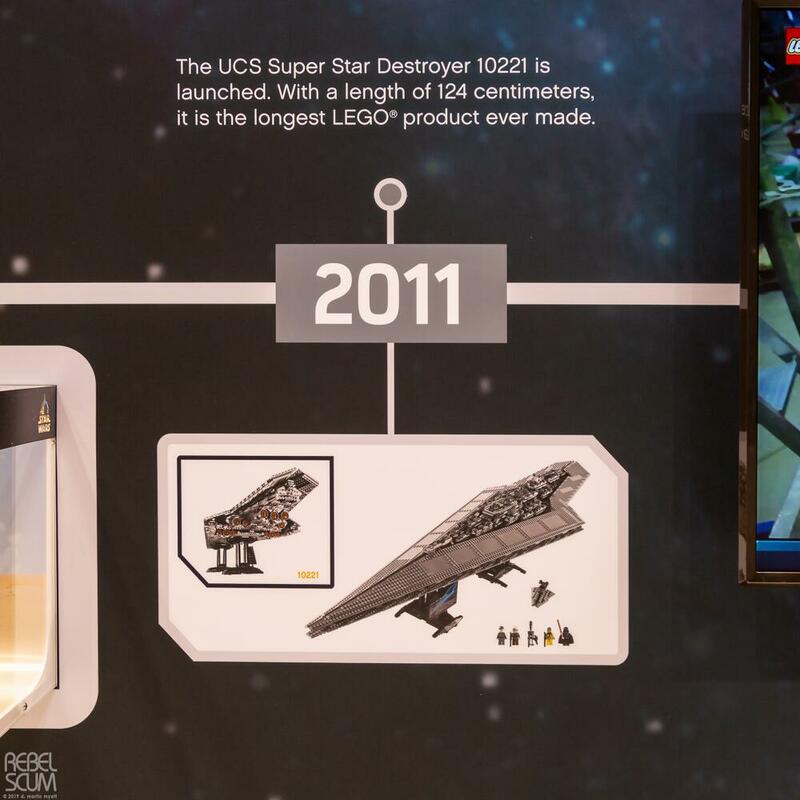 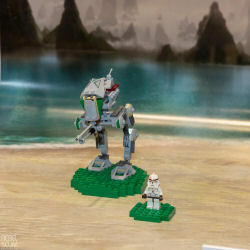 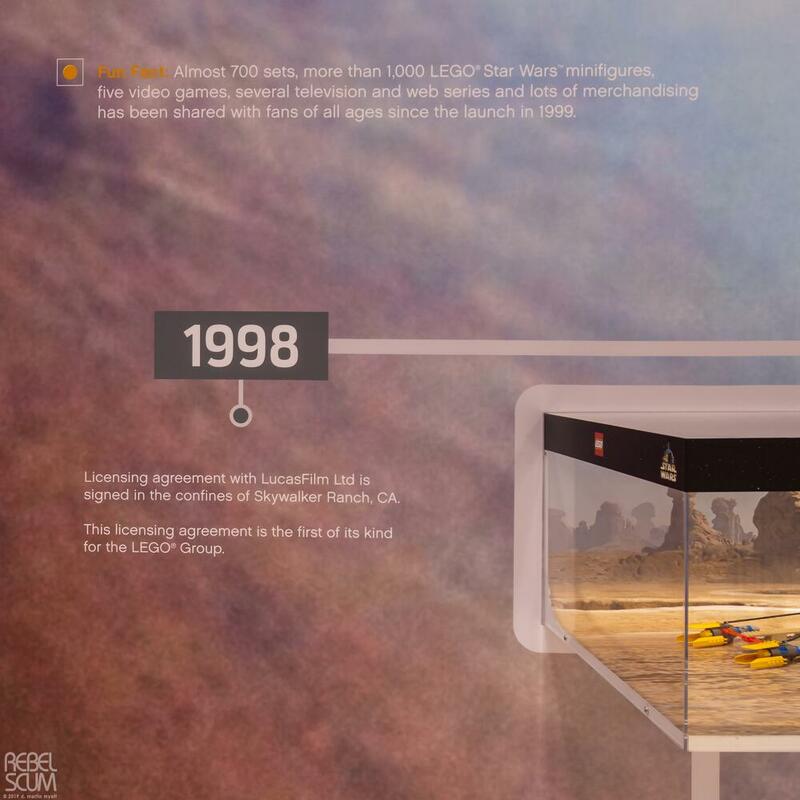 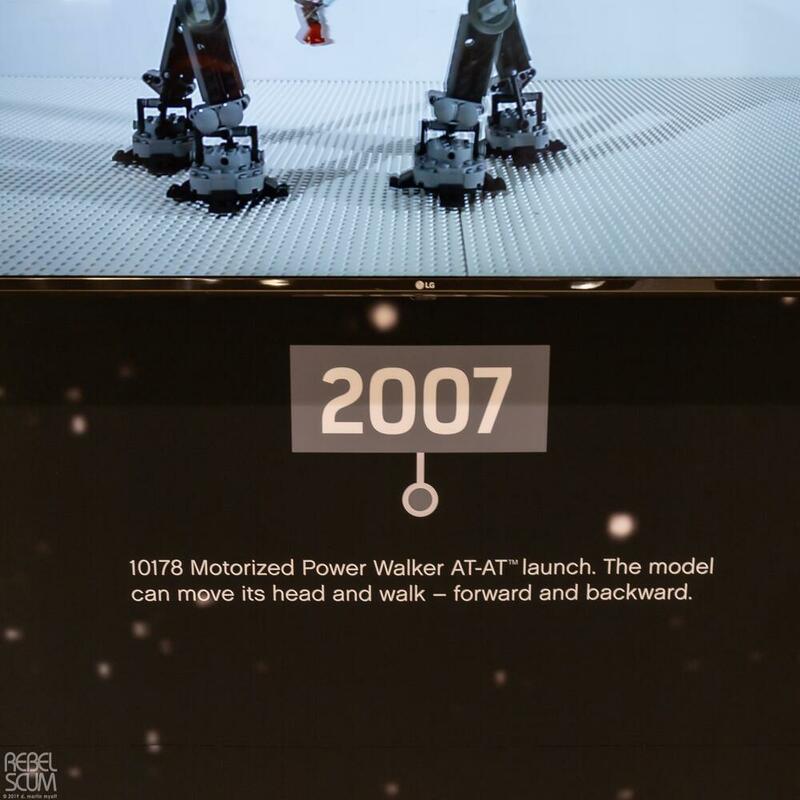 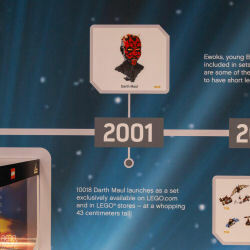 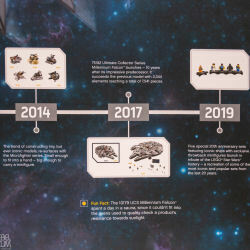 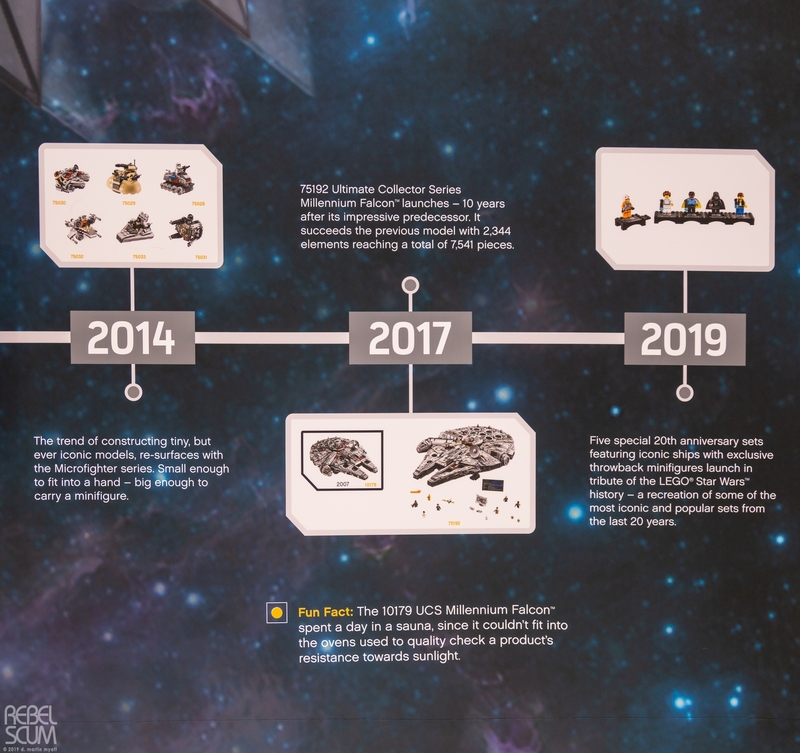 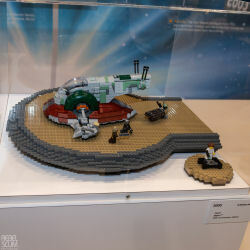 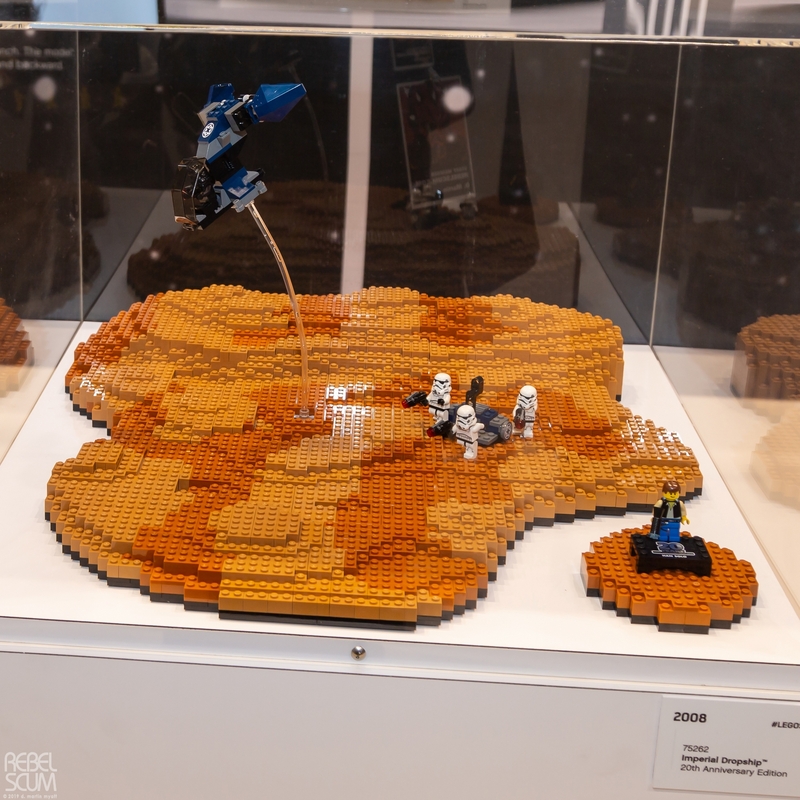 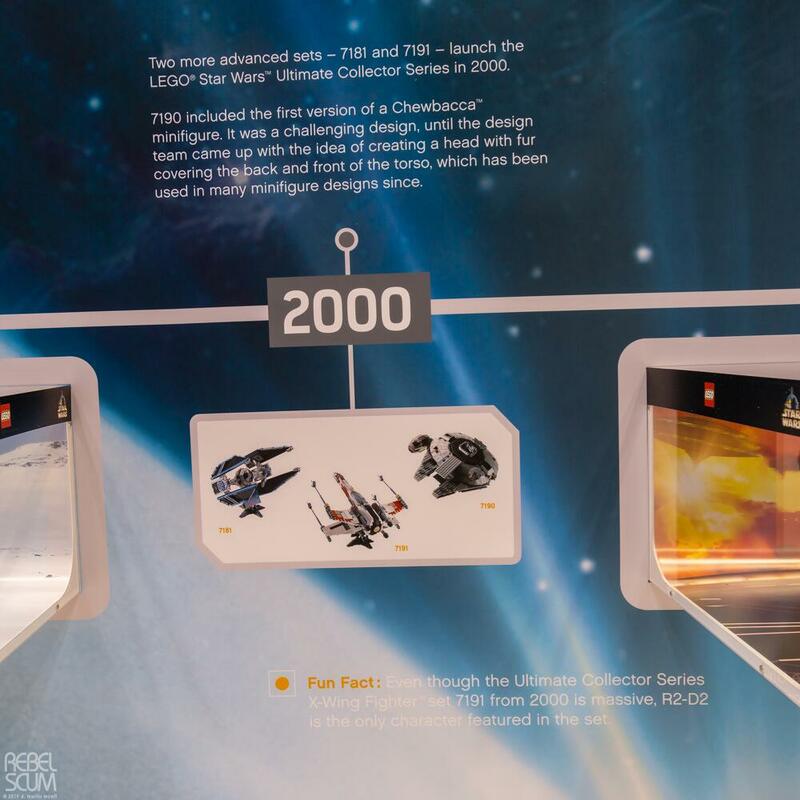 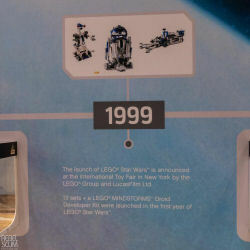 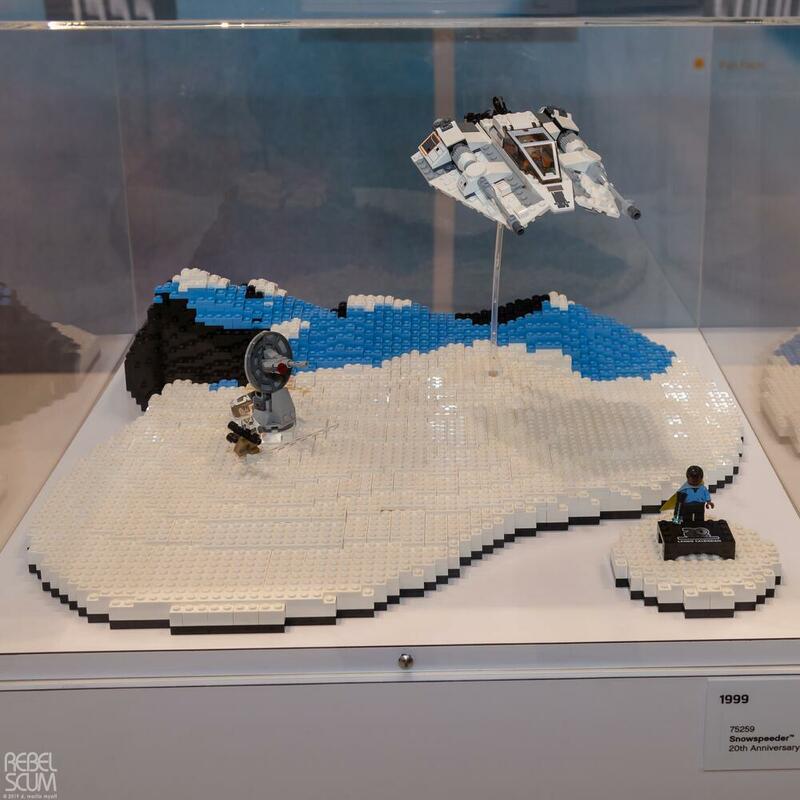 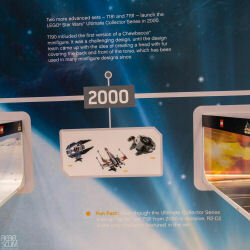 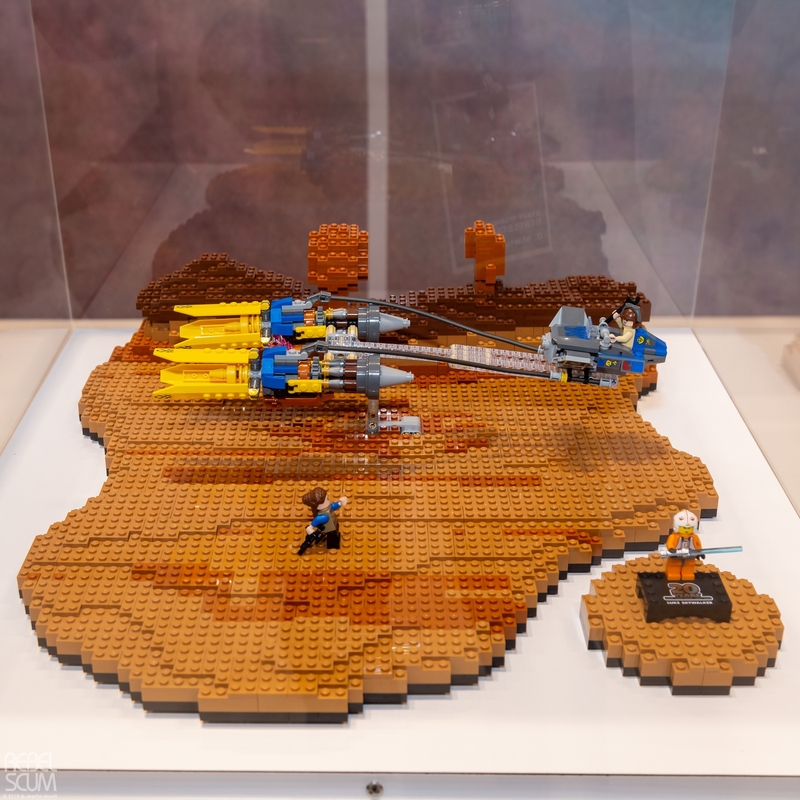 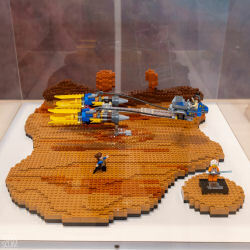 We'll be providing more coverage of the events and activities provided by LEGO through the course of Star Wars Celebraiton so please keep checking back. 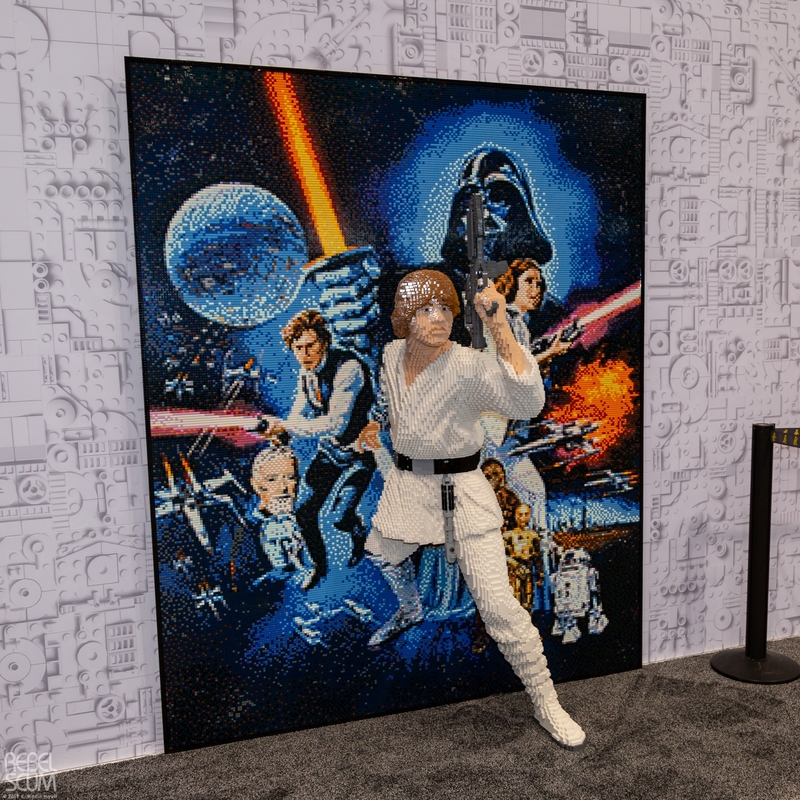 Check out today's gallery for more imagery.